There’s no way to sugarcoat the fact that you will spend countless hours looking for a job, sending out résumés, and preparing for interviews. It reminds me of being in school waiting to be chosen for a coveted spot on someone’s team during recess. After all that preparation your phone never rings and there’s no new email in your inbox. Now before you blame the hiring managers or the economy, let’s face it, your résumé may not have been an awesome as you thought it was. Many people think that a résumé is just like a school essay where there’s a sliding grading scale or a C grade is good enough. When setting out in your career search, you are in stiff competition and mediocre just won’t cut it. 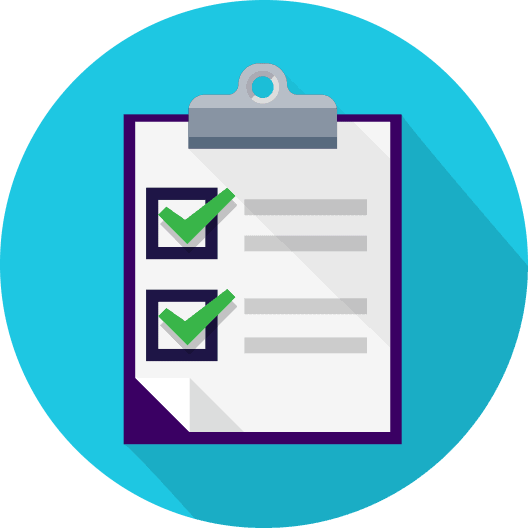 Unless you use professional resume services, you need to realize that résumé writing is business writing and unless you look at it that way, you will continually be rejected for things that can be avoided. That’s why I’m here! I’m going to give you some much needed tough love to make your résumé amazing. Let’s dive in. Reason #1: Your résumé is visually a bore. It’s no secret that we buy, date, and even eat with our eyes. I don’t know about you, but if the food looks like puppy puke I’m not eating it, no matter how good it’s supposed to taste. The same thing goes for your résumé. A beautifully formatted résumé that has taken design seriously will beat out amateur applicants every time. Before a single word is read, a hiring manager will be visually intrigued to keep reading. Your industry will determine how “out there” you will go with colors, infographics and creativity, however, even a small pop of color will give that 8.5 x 11” white piece of paper some life. Hiring managers appreciate a candidate taking the time to stand out in the simplest of ways. By saying that color options help your résumé doesn’t mean I am not giving you permission to make your résumé look like a rave flyer. When in doubt stick to professional colors like shades of blue, black, gray, and even brown and orange in some cases. Reason #2: Your résumé has grammar/punctuation errors and misspelled words. After your visually gorgeous résumé ends up in the right hands, the first few sentences may be great, and then they see the dreaded misspelled word. I compare it to meeting your dream partner and visually they’re everything you want until they open their mouth. Now the dream is dead. This mistake can happen easier than you think. Spell-check in Microsoft Word is a gift and a curse. It’s great when the word is misspelled, but when the word is correct and just the wrong usage, you’re screwed. For example, a simple mistake of objection instead of objective can turn your work of art into a disaster. Spell-check will not catch a word usage mistake like that. 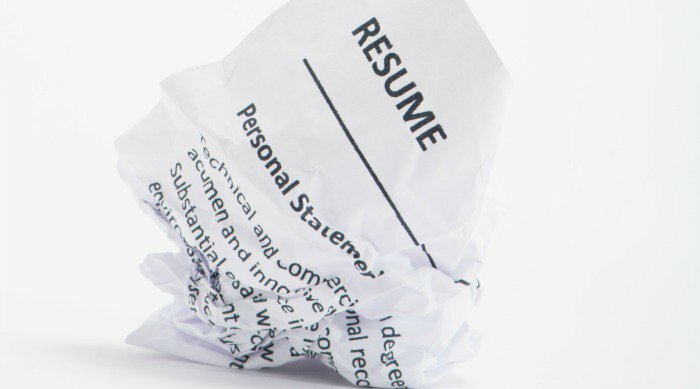 To avoid this mistake it’s best to read your resume out loud to catch common mistakes, get a second pair of eyes to see what you don’t see, or get a professional to give you that flawless résumé from the start! Reason #3: Your résumé lacks oomph. Your résumé is basically on life support filled with tasks and copied job descriptions from the company websites. You won’t have a chance to put the reader to sleep because they won’t read that long to let that happen. Trash bin city! If your résumé reads like a to-do list, that’s a problem. This is your opportunity to impress! A hiring manager doesn’t want to hear what boring tasks you completed on a daily basis. They want to hear how you made a difference in the company and how you left them better than when you came. It doesn’t have to be as extraordinary as creating a new piece of software, but it should be worded to express how you maximized your position. Don’t know what “lack of oomph” looks like? Looking at these examples, would you hire you? Probably not. An easy fix for this is to put on your manager hat. Shift your thinking from a doer to an achiever. Each line you write, take a moment and think, “Did I achieve something?” If the answer is no, rewrite. Reason #4: Your résumé is filled with cliché terms. The most cliché terms tend to happen in the Key Skills section of your résumé. Imagine 75 back-to-back resumes with the same terms like, “problem-solver”, “responsible for…”, “creative…”, “passionate…”, and the list goes on. These words have been used for so long that it tells hiring managers that you are mechanical and complete only the tasks you are asked to do—no more and no less. These type of terms do not show your value. It’s not a hard thing to fix, you just need to be more specific. Look at your industry and the skills required to be successful. Take those skills and customize them to you. You will give them exactly what they’re looking for to fill the position, and that is the purpose of your résumé. Reason #5: Your résumé is too long. As an entry-level candidate you may only have a one page résumé and that’s okay, however, the rules have changed and a one-page résumé for the seasoned professional is no longer the norm. The average professional résumé covers 10-15 years of your work experience and that type of experience will be spread across two pages. Max! Stick to the positions that are relevant for the position. You can be so eager to show everything you’ve done, that you want to put every college project, church camp experience, and high school internship on it. That’s not necessary. For my older readers, no one cares what job you had in 1978. It does not make you look more experienced as you might think. Adding every position from your first paper route will open the door to ageism. Just imagine the hiring manager being born in 1978. That’s not a good look. As a rule of thumb keep your résumé a two-pager. In the case of a SVP or CFO position, a three-page résumé may be appropriate. The higher the salary or position, the more experience that’s required. Reason #6: Your résumé is overworked and it’s obvious. What does this mean exactly? You were a cashier at Starbucks, however, on your résumé you wrote that you were a cash-handling front-of-house professional. That is a no-no. While in your mind it makes you look more experienced, but in reality it reads as deceptive and you’re trying too hard. Honesty is always the best policy. Hiring managers will appreciate an entry-level starter than someone who’s trying to hide being entry-level. Plus, by doing so you’re assuming the hiring managers are stupid and won’t figure it out. Trust me, they will. It’s not all about trying too hard, it’s about you being qualified to do the job. Period. Do you really want to put yourself on a level that you will not be able to live up to if offered a job? Not only will it be a waste of time, but you will develop a bad reputation from the start. The world is smaller than you think, and you never know who knows whom. Extra Tip: Your résumé has no cover letter. Even though this isn’t directly related to your résumé per se, I threw this on the list because it’s important to know that every résumé should have a customized cover letter unless otherwise instructed. A customized cover letter is that extra cherry on top if done right. You’d be surprised how many candidates believe that a cover letter isn’t necessary and ignore it. A simple introduction of yourself and your skills can be the difference. Whew! I know this list may sound like a lot to do, but it’s necessary to get your résumé on top and not in the trash. I know how it feels to work towards a career goal and not get results. It didn’t feel good, so I made the adjustment. If you feel that this is overwhelming and can’t get your résumé up to par, enlist the help of a professional to do the work for you. Sometimes in life adjustments have to be made to get results. Contact us here and let professional resume writers design your résumé to get the results you need and avoid the trash bin once and for all! I went to 4 resume workshops and researched how to create a resume. I updated my information and then had my resume professionally formatted. It looked beautiful. I submitted many applications for job that I was fully qualified for and a very good match. In the past six months, I only received one interview. It was a 2 month process, and they selected an internal candidate. I received more responses during the crash in 2008 – 2009. Scratching my head, I decided to research Applicant Tracking Systems (ATS) and resumes. The professionally formatted resume included Tables, Page Border, Line section breaks from left to right margin, Formatted text, Bullets and my Name and Contact information on top of pages one and two (not in the Header, though). According to research results on the top ATS’s and speaking directly with recruiters and career coaches, my newly formatted resume broke many of the ATS rules, narrowing my chances of ever reaching human review dramatically. Although many systems will not reject on all or some of the above, you have no way of knowing what ATS the company uses. I now will have 2 resumes. Formatted resume for mailing and bringing to interviews and an unformatted version to submit electronically. Still scratching my head and wondering why a company that provides such a service would format my resume in such a way and put my chances of HR review at such a risk. I’m so sorry your resume service didn’t give you the best tools for success. This is a very good point and a big problem that many people face. That’s why you need a plain text version of your resume that is ATS friendly. The pretty version is great to look at, but they are best for sending directly to a human being through networking and/or direct connection via email. If you are applying online you HAVE to know the “rules” to play (and win) the game.